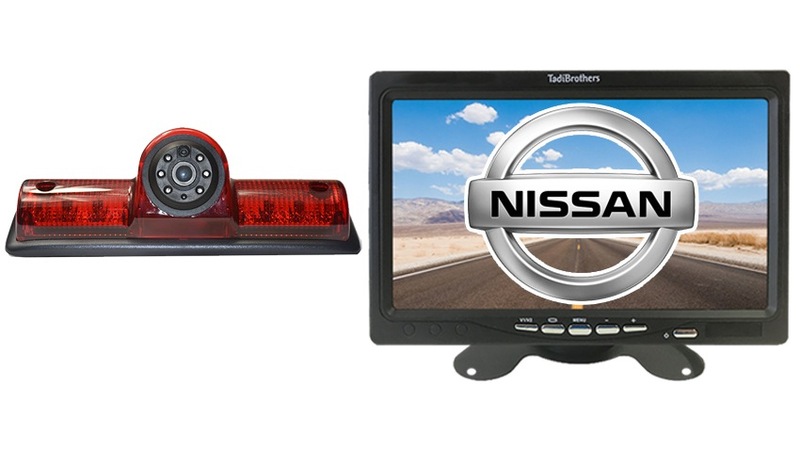 The Nissan NV Van Backup Camera has a 120° Degree viewable angle, its waterproof and has auto night vision. The camera is one and has excellent night vision clarity. The Nissan NV backup camera simply replaces your middle brake light. This allows the camera to be hidden in plain sight, it looks completely stock and is a great option for anyone with a Nissan NV Van. This camera can take a direct hit from a rock and it will still work like new. Its has also been very popular with Sprinter Vans, because its housing allows you to install the cameras on multiple sides of your van. This system comes with a 35ft Premium cable which should cover the length of any Sprinter van. If you need a longer cable we have many different lengths. You can also make this camera wireless and then you will not have to run any cables. Battery packs are available as well so you do not even need a power source. This item includes a 35 Foot cable, that is plenty for any sprinter van. This system, like most of our vehicular products that have an LCD screen, can be used for video gaming, Considering that a perk or bonus for purchasing our back up system (others block that feature). "I purchased a 3.5" but upgrade to this 7" monitor and I'm so glad I did! Amazing screen. If you're lookingfor a monitor to purchase. This is a must!!"